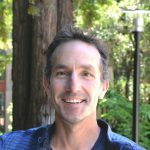 Josh Stuart, PhD, Professor, Biomolecular Engineering Department, University of California Santa Cruz, “Unmasking All Forms of Cancer: Toward integrated maps of all tumor subtypes” at 11:00 am on Thursday, February 16, 2017, in Rooms 407A/B BAUM, 5607 Baum Blvd., The Offices at Baum. Abstract: The varieties of cancer seem numberless. From classic tell-tale genomic alterations like the Philadelphia chromosome in CML, to the recurrent and specific amino acid V600E BRAF mutations in melanoma, from HER2 amplifications in some breast cancers, to hypermutated tumors in colorectal cancers linked to epigenetic changes. Are tumors that arise in different tissues distinct? Is every patient’s tumor distinct? Or are there underlying connections to help construct a molecular taxonomy of cancer’s forms? In this talk, I will present results from the TCGA Pan-Cancer analysis project to investigate cancer’s forms in the most comprehensive study of tumor subtypes attempted to date. We derived a map of tumor classes encompassing an integrated view of six different omics datasets. While most tumors (90%) cluster with others from the same tissue of origin, a significant fraction (10%) are reclassified into groups of multiple tissue types. Data on patient outcomes suggests the reclassification could provide important information to consider for treatment. I will also present novel pathway analysis methods and landscape visualization techniques that help probe further into these results. Help This is an online meeting for Skype for Business, the professional meetings and communications app formerly known as Lync.